Who doesn't love donuts. 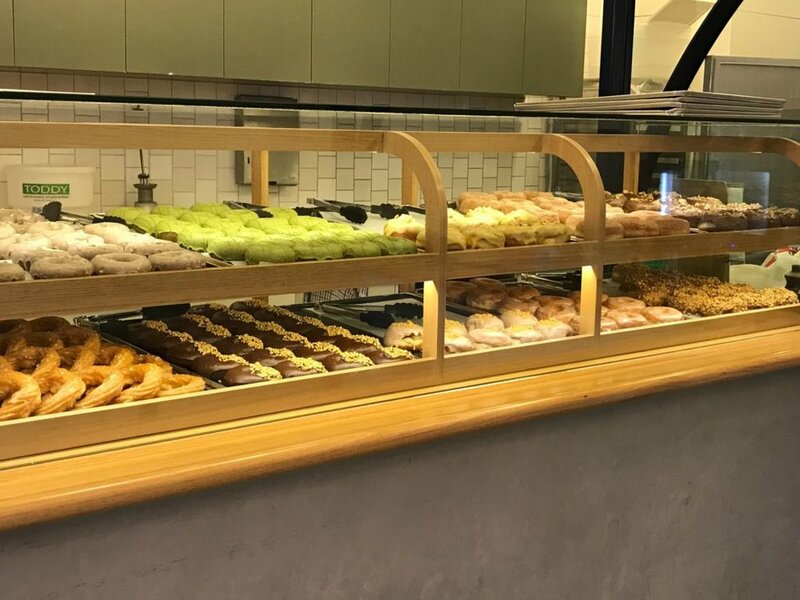 And what better way to celebrate National Donut Day than writing about the most delicious donuts we've found on our travels. We live in Boise, Idaho. And Boise is lucky to have a great local donut shop downtown. Guru Donuts features artisanal donuts in classic & unique flavors, with vegan options. And the donuts are delicious! Seattle has more than just delicious coffee. Top Pot Doughnuts might have started as a coffee shop, but they now serve up some of the best hand-forged doughnuts in the Seattle area. 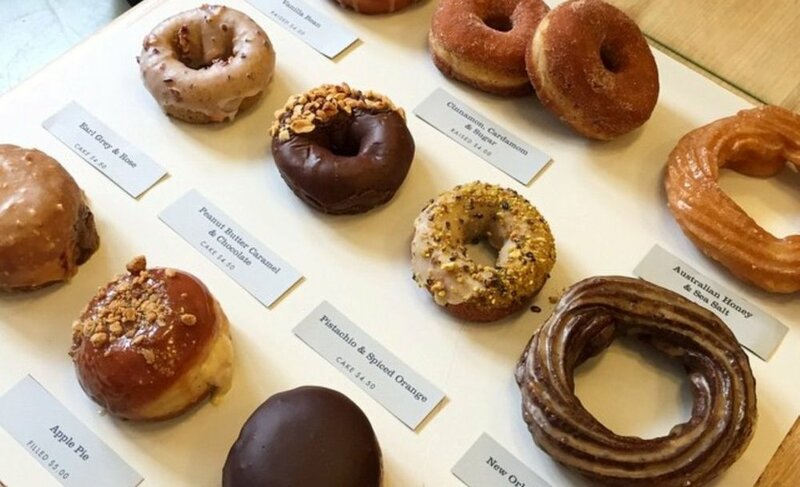 You'll find Top Pot Doughnuts across the Seattle area with a few locations popping up in other places like Dallas, Texas. Yes, we know, Portland is famous for their Voodoo Doughnuts. And we can't say we dislike Voodoo Doughnuts, but our honest opinion....you'll find better donuts in the Portland area. And that takes us to Blue Star Donuts, a buzzy source for gourmet brioche donuts. Blue Star Donuts serves up the classics (chocolate-covered), the seasonal (pumpkin cheesecake), and the oddly gratifying (matcha and, yes, grilled cheese, bloody mary brûlée). And finally, our absolute favorite donut shop is.......thousands of miles away in Melbourne, Australia. Shortstop Coffee & Donuts serves up the most delicious and donuts we've ever tasted. 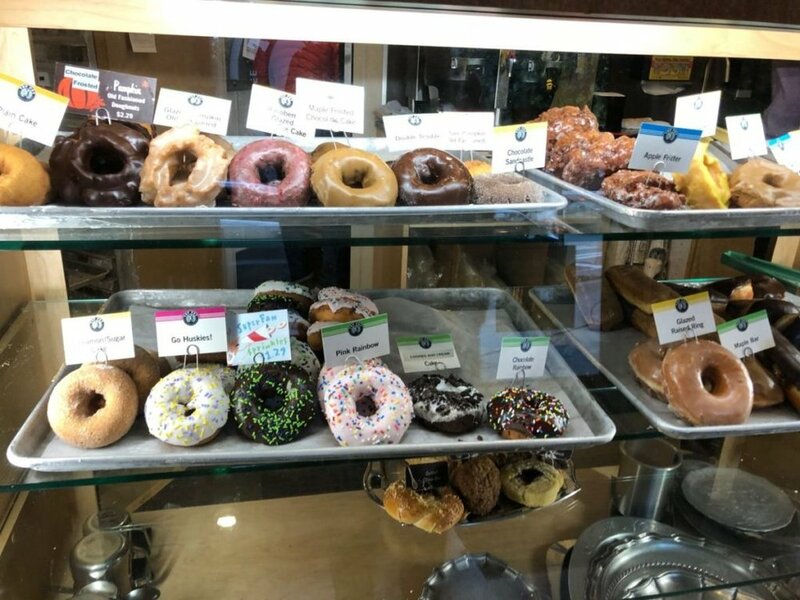 Shortstop donuts are made fresh at their shop daily, using high-quality and natural ingredients. And we still drool a little bit each time we think about their Australian Honey & Sea Salt Donut. It literally melts in your mouth. And when we return to Australia, which will be sooner than later, you can bet we will be waiting in line at Shortstop! So, what are you waiting for? Hop on a plane and start your National Donut Day tour. But really, if you need a reason for a vacation, plan it around the donuts. Copyright © 2018 TwoGaysAndAPuppy. All Rights Reserved.